E-DC-5BA : DC Power & Charge cord for Yaesu, Vertex, & Standard Horizon radios. Fits models such as FT-70D, FT-70DR, FT-65D, FT-65DR, VX-8R, VX-8RE, FT-1D, FT-1DR, VXA-700, VX-7R, VX-7Rb, VX-6, VX-6R, VX-5, VX-5R, VX-5Rs, VX-120, VXA-150, VX-170, VX-177, VX-180, VX-210, VX-250, VX-270, FT-530, FT-817; HX270, HX270S, HX370, HX370S, HX471, HX471S, HX500S, HX600S radios etc. It replaces original Yaesu part # E-DC-5B, SDD-13. The E-DC-5BA plugs into a 12-13.8VDC socket. It provides power to the radio AND can slow-charge the battery (while attached to the radio). It can also be used for Fast Charging, by using in conjunction with a CD-15A or CD-41 base charger (sold separately). The E-DC-5BA is designed by BATTERIES AMERICA, and is an exclusive brand exclusive product; it provides proper controlled voltage & current to your Yaesu, Vertex, Vertex-Standard, and Standard Horizon radios ! 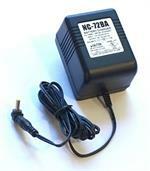 NC-72BA : AC-DC Battery Charger/Power Supply for Yaesu/Vertex. Replaces NC-72, NC-72B, etc. The NC-72BA is a new AC-DC Power Supply/Battery Charger for Yaesu & Vertex. Replaces original NC-72, NC-72B, NC-72C, etc. Plugs into 110-120VAC outlet. Output is 12VDC @ 500mA, with rare custom-sized Yaesu-Vertex connector. The PA-48B is a Wall Charger for Yaesu & Vertex radios such as VX-5R, VX-6R, VX-7R, VXA-700, FT-817, etc. NEW DESIGN. Replaces old # NC-72B. Worldwide input capability. Output: 12VDC @ 500mA. FNB-102Li is a 7.4 volt 2000mAh LONG LIFE rechargeable Li-ION battery for Yaesu-Vertex VX-8R, VX-8DR, VX-8GR, FT1R, FT1DR, FT2R, FT2DR, FT1XD, FT1XDR, FT-1XD radios etc.. Replaces original FNB-101Li & FNB-102Li. The FNB-80Li is a BATTERIES AMERICA-brand 7.4 volt 1600mAh Lithium Ion rechargeable battery pack. It fits Yaesu VX-5R, VX-5Rs, VX-6R, VX-7R, VX-7Rb, FTA-720; Vertex VXA-700 (SPIRIT), VXA-710; Standard-Horizon radios. FNB-41xh : 9.6 volt 1200mAh rechargeable NiMH battery for Yaesu/Vertex radios - fits FT-10, 40, 50; VXA-100, etc. Re-charges thru radio, or in desktop charger. Includes belt clip. CD-15A: V ertex-Standard brand desktop Rapid Charger. Charges 7.2 & 7.4v Li-ION batteries such as the FNB-58Li and FNB-80Li. It is powered by NC-72B/E, NC-72BA, PA-48B (wall chargers), or E-DC-5B, E-DC-5BA (DC power & charge cord). 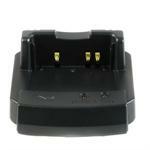 CD-41: Vertex-brand Desktop Rapid Charger for FNB-101Li, FNB-102Li, etc.